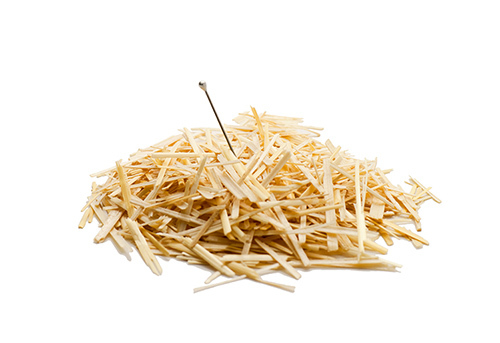 The BRCA1/BRCA2 genetic test for breast cancer may be a very expensive way of looking for needles concealed in massive haystacks. That’s the conclusion reached by UCLA researchers who compared universal BRCA1/BRCA2 screening with alternative diagnostic techniques such as annual mammograms, biennial mammograms, and mammograms augmented by magnetic resonance imaging. The alternatives, the researchers found, are usually more cost-effective than BRCA1/BRCA2 screening. The basic problem is one of weighing the health benefits of population-based screening against the potential health benefits, a problem which is often resolved by means of decision-analytic modeling. A version of this technique was applied to BRCA1/BRCA2 screening by Patricia Ganz, M.D., director of the division of cancer prevention and control research at UCLA’s Jonsson Comprehensive Cancer Center, and Elisa Long, Ph.D., assistant professor at the UCLA Anderson School of Management. These researchers outlined their work in a viewpoint that was published September 3 in JAMA Oncology. The viewpoint—“Cost-effectiveness of Universal BRCA1/2 Screening: Evidence-Based Decision Making”—concluded that the BRCA genetic test most widely used today is too expensive to warrant universal screening given how rare BRCA mutations are in women. This test, marketed by Myriad Genetics, sells for about $4,000.